my best friend hyunoo moved from birmingham, alabama to DC after graduating college in 2008. i've been heading up there to visit him at least annually ever since, and every time i'm up there i specifically request making a special trip to paper source. for years, YEARS before i even thought of starting my own stationery business, i've been wandering through the paper source store in alexandria, VA with the dreamiest of dreamy eyes... just basically getting lost in the cuteness and feeling so inspired to make things and share art with people. it wasn't really until i started getting involved in the stationery world that i realized what a big store paper source is... and that they actually carry cards from other small businesses like mine! so since i launched my business, it had been a dream of mine to work with them... and this year my dream came true (slash hard work and persistence paid off? however you choose to look at it)! 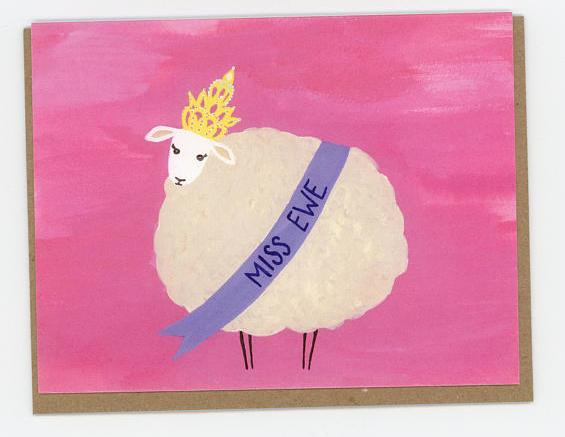 i'm so thrilled to share that one of my cards is now available at paper source! after packaging and labeling over 600 copies of this card all by myself... i had the teary eyed privilege of visiting it in its new home at paper source this past week! i've also already had friends in seattle, WA and (you guessed it!) 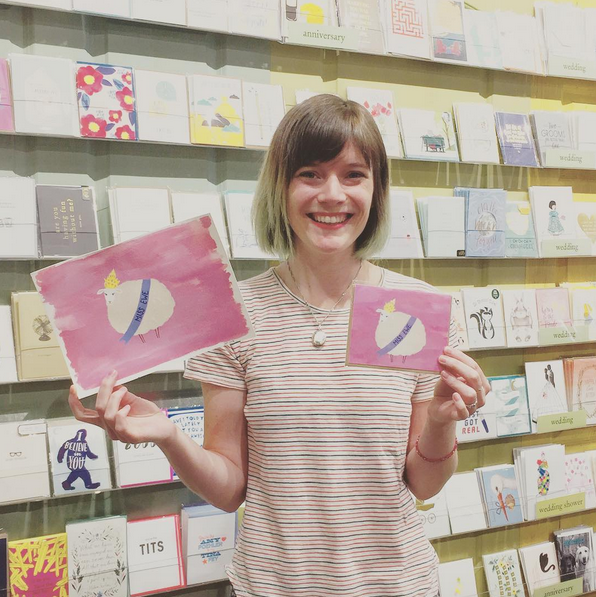 alexandria, VA send me photos of themselves with my card in the store. i'm feeling so proud and accomplished and delighted! going to try to hang on to this feeling for a while.